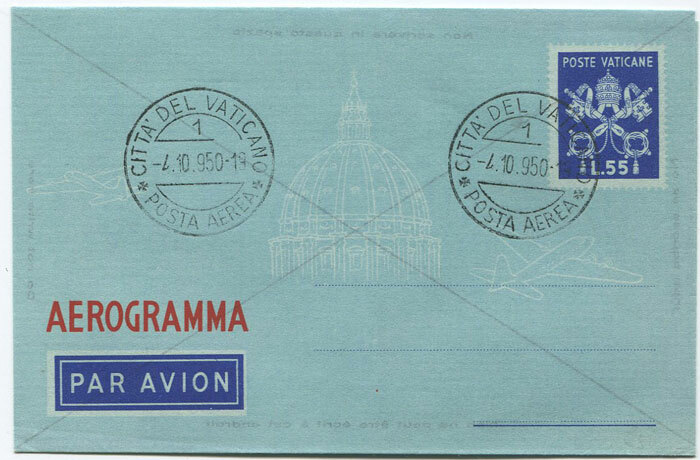 with L94.70 franking all tied by CITA DEL VATICANO POSTE cds's. Vertical crease. (H/G1) used with F.D. 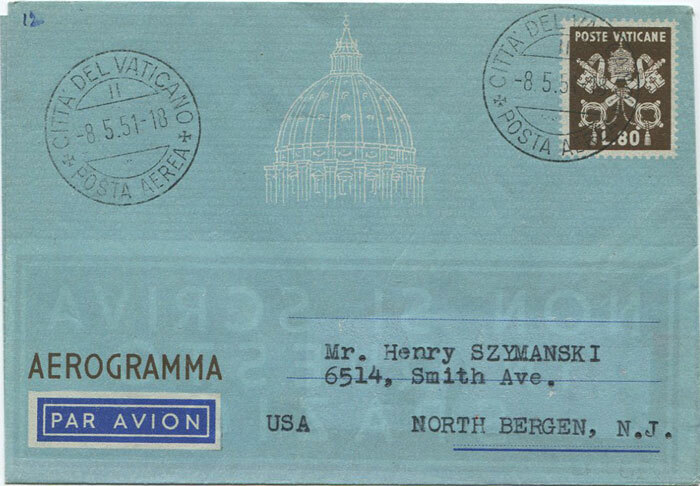 postmark. Fine. 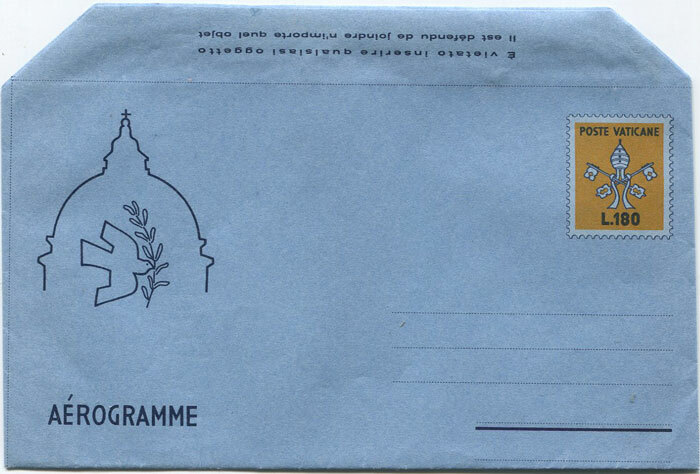 (H/G2) fine unused but with Vatican 4.10.1950 cds postmarks. 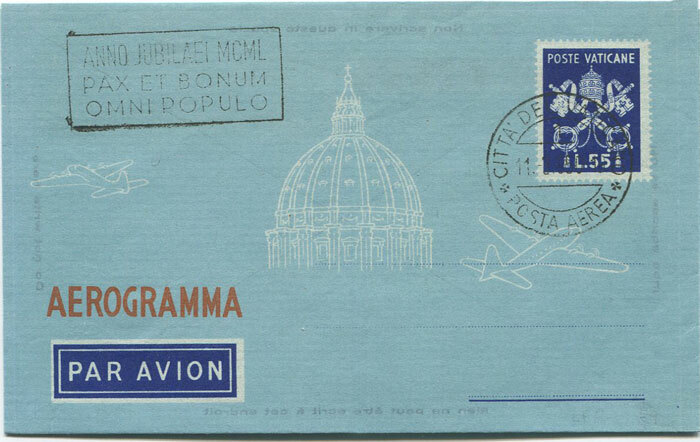 (H/G3) fine unused but with Vatican postmarks. 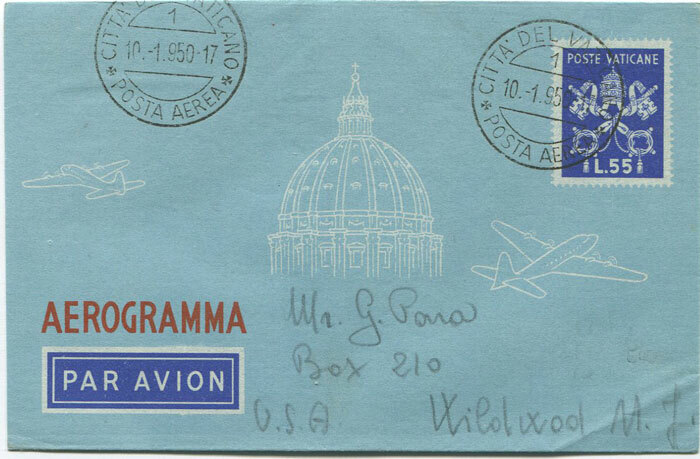 (H/G4) fine used to U.S.A.
GALL Dr Piero Der Vatikanstaat - Ein Philatelistisches Handbuch Winifred Kittel 1967 237 large pp. 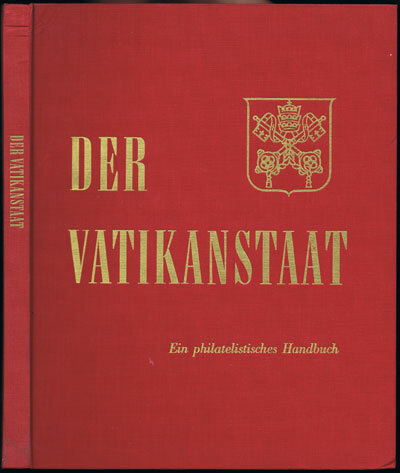 est ed., fine in original cloth. 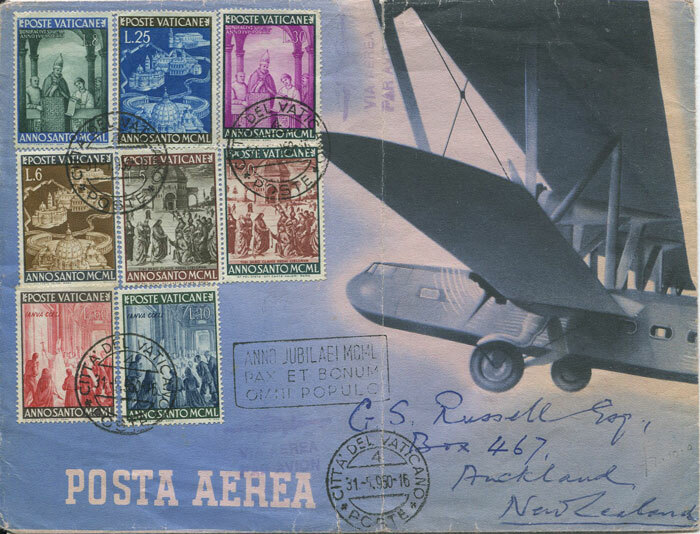 Detailed, well illustrated guide to the stamp issues.